Locket’s beauty is in the beading. 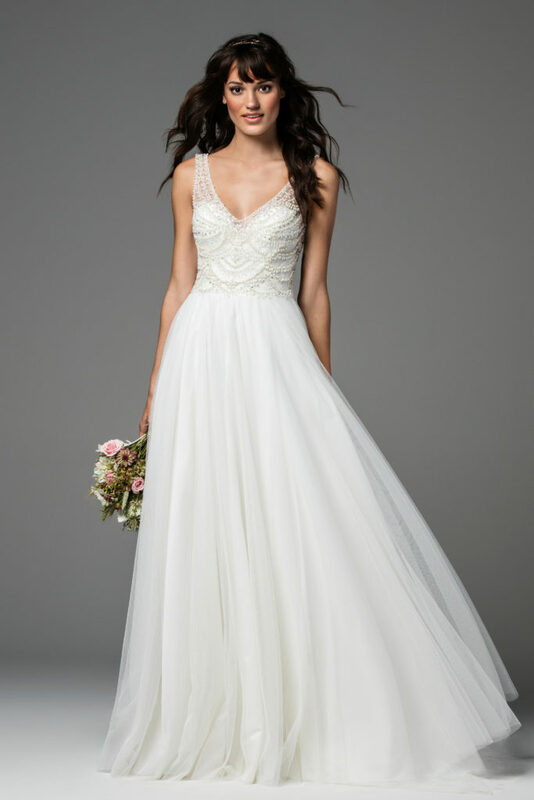 This gown shines with pearls and milky white crystals, reminiscent of Girasol Opal. 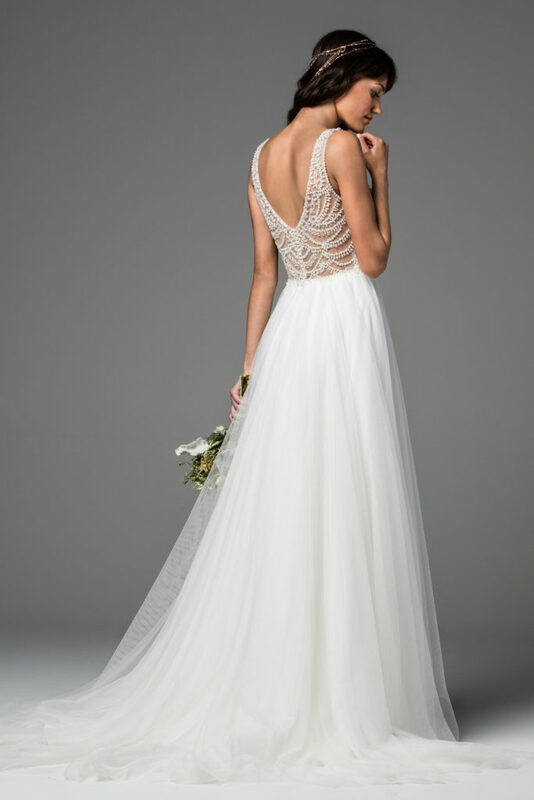 A Soft Netting and Illusion Tulle skirt will catch the breeze beautifully when walking, creating romantic, whimsical movement with each step. Sweep train.